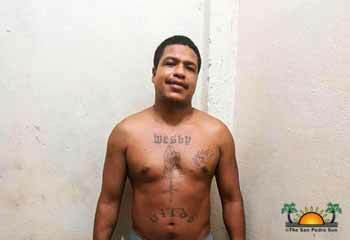 Unconfirmed reports indicate that Vildo Westby, who was being sought for the brutal murder of beloved island activist, Felix Ayuso, is in the custody of Belizean authorities. Westby had been serving prison time in Veracruz, Mexico since December 2017, after fleeing Belize. Belize police had issued a warrant for his detention and advised Interpol, a couple weeks after Ayuso’s murder on February 4, 2017. It was suspected that Westby was in Mexico. The Ayuso family offered thousands of dollars in reward for information that would lead to Westby’s arrest. Months later, a resident of Las Choapas, Veracruz recognized Westby which led to his detention by Mexican authorities on December 7, 2017. For months, it was uncertain if Westby would be deported to Belize and at one point Belize police could not confirmed if Westby was incarcerated in Mexico. However, Ayuso’s family maintained that Westby continued to be imprisoned at a Mexican jail. On Sunday, September 2nd Ayuso’s family members are confirming the news of Westby’s deportation to Belize. The news of Westby’s remand in Belize comes as a relief to the Ayuso family on the island. It was a long process, beginning from when they offered a large substantial amount of money as a reward for information that would lead to Westby’s detention. The effort and sacrifice paid off and within months of posting the reward notice, a resident in Las Choapas Veracruz, Mexico reported seeing Westby, and he was detained by the police on December 7, 2017. He remained imprisoned in Mexico until this past weekend when he was released and handed over to Belizean authorities.